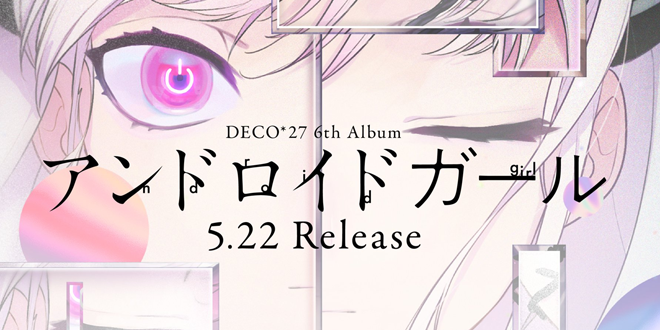 Home / News / Events / DECO*27’s 6th Album “Android Girl” to be Released on May 22nd! Fans of DECO*27, rejoice! 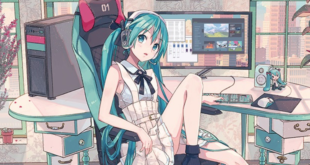 Our beloved producer will release a new album on May 22nd, titled “Android Girl“! This album has just been announced and we do not have a crossdemo video showcasing all the tracks. However, most of the details were revealed via Twitter, tracklist included! Let’s check it out together! This album will be sold in both standard and limited edition through various different music stores. 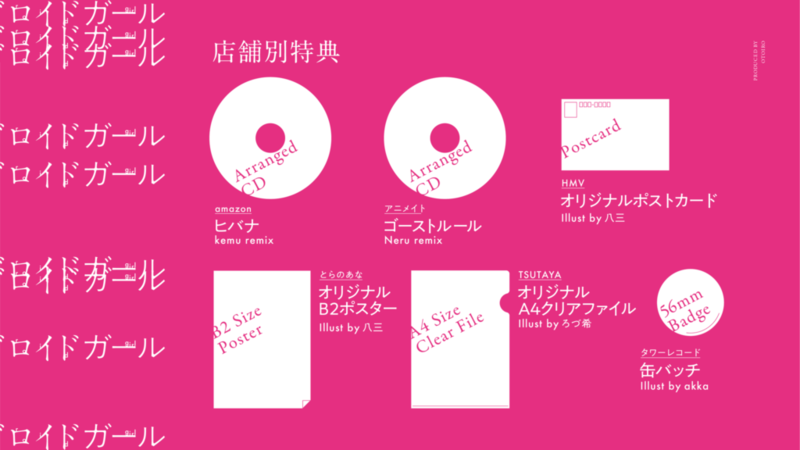 The latter also includes an additional Drama CD. You might want grab it as soon as you can, before it goes sold out! No album would be complete without bonus pre-orders! This one, of course, makes no exceptions and offers various different goods depending on where you pre-order it! There is no link available for pre-order at the moment, but keep an eye on this article as we will update it! 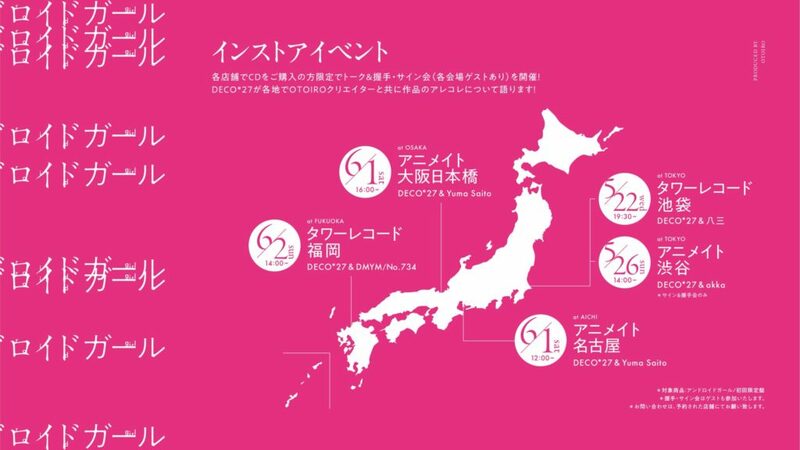 To commemorate the launch of this Album, DECO*27 will have a short tour to some Tower Records and animate stores to promote his newest release. There will be some autograph sessions and he will be accompanied by some other artists as well! You can see the dates and locations down below. Click each shop’s name to pen its Google Map location. As for the Tower Records store in Fukuoka, we are waiting for more informations, since there are many stores in that area. “Android Girl” will be released on May 22nd and we cannot wait to enjoy all of the songs included in this album! In the meanwhile, stay tuned with us on VNN to not lose any update about your favorite virtual Singers! 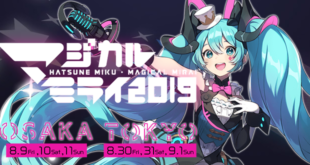 Previous Snow Miku & Yukine 2020 Design Contest Begins Now! 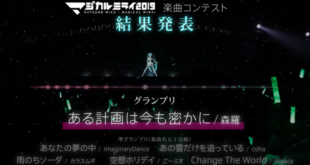 Next Red Feather Community Chest Movement x Hatsune Miku Artworks & Theme Song Contest Announced!